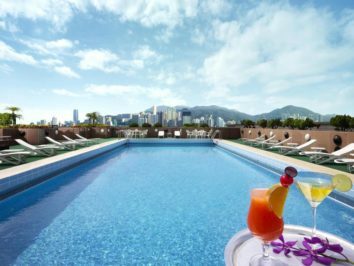 Luxury travelers who find the big name Hong Kong luxury hotels out of budget are not out of luck. 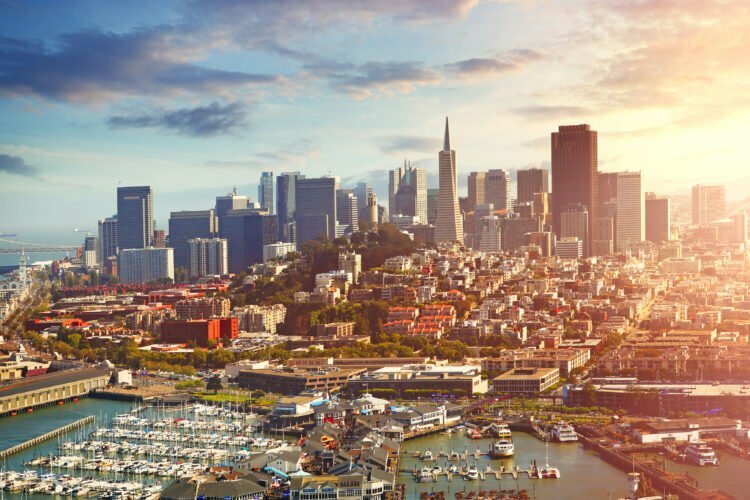 The city is full of fantastic four-star hotels, boutique hotels and a handful of five-star hotels that will fit the bill. The five-star category is vast. 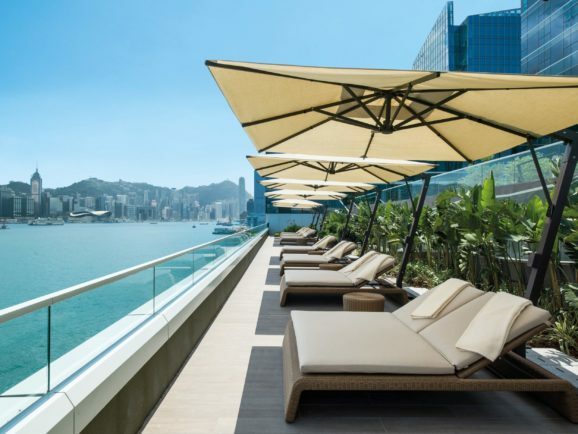 The top Hong Kong luxury hotels excel in every category including service, Michelin-star restaurants, location, rooms, views and other thoughtful amenities. 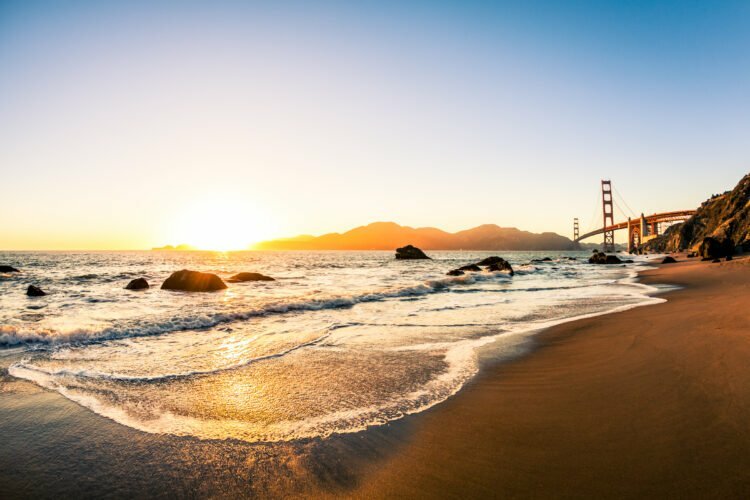 They are absolutely worth the spend but when it’s not doable, the hotels on this list are excellent alternatives. They may have an element mentioned above that might be, for example, a location that isn’t quite as central. 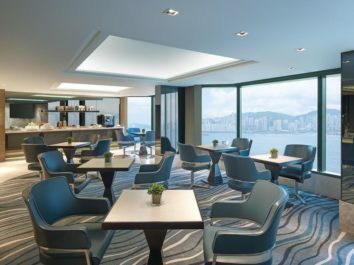 Hotels in Tsim Sha Tsui East can be just as fantastic as those in the heart of Tsim Sha Tsui, but you’ll typically pay a bit (and sometimes a lot) less to stay a bit further out from the action. It may take 20 minutes to walk to the Star Ferry versus 5 minutes, for example. Other hotels on this list might not have a spa or restaurant, but offer other amenities that luxury travelers desire. 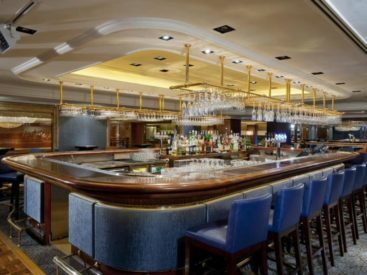 My booking services are most beneficial to travelers when it comes to the top Hong Kong luxury hotels, but I can secure VIP amenities for you at Kerry Hotel Hong Kong and The Excelsior, Hong Kong. 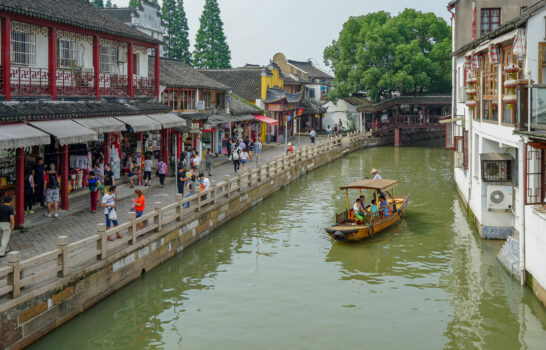 Otherwise, I’ve inserted two booking options under each listing that include directly with the hotel or on Agoda, one of the most popular booking sites in Asia. 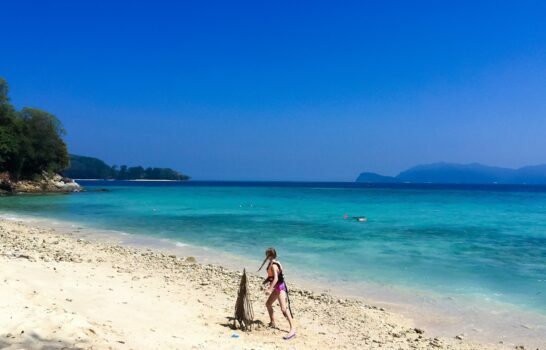 Photo courtesy of Shangri-la Hotels and Resorts. 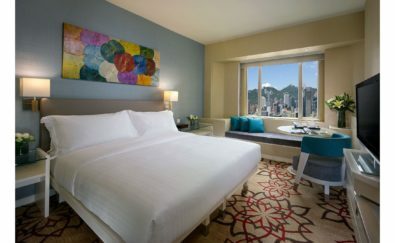 The new Kerry Hotel Hong Kong is a Shangri-la property designed to be an urban lifestyle resort. 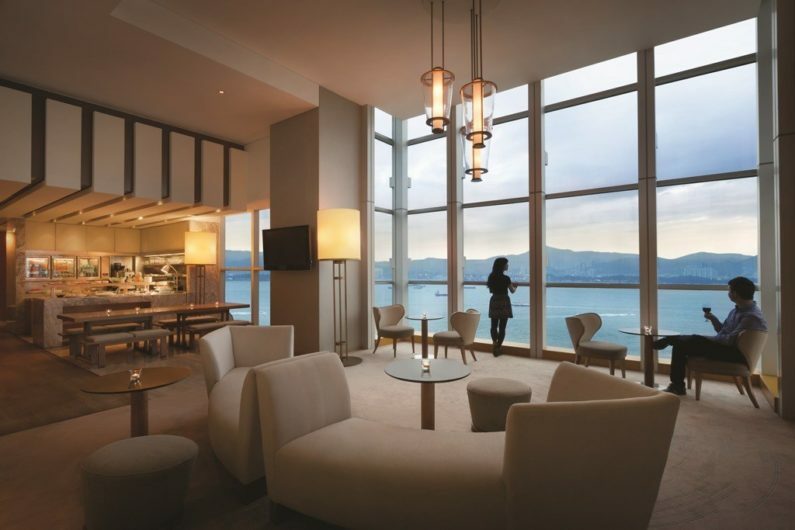 The hotel’s gorgeous and approachable design blends the water view into the rooms. Over 60% of the rooms have harbour views as do most of the common spaces. 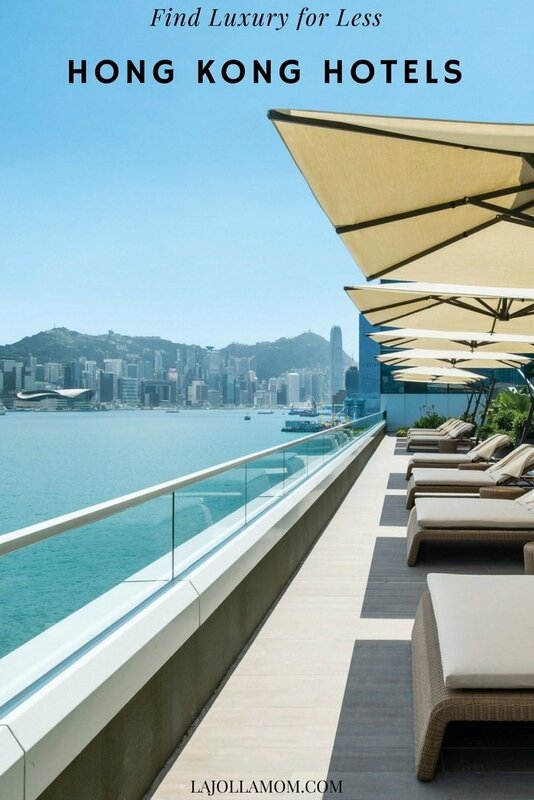 It’s built right on the water at Hung Hom Bay and is as close to the harbour as you can get at a hotel in Hong Kong. 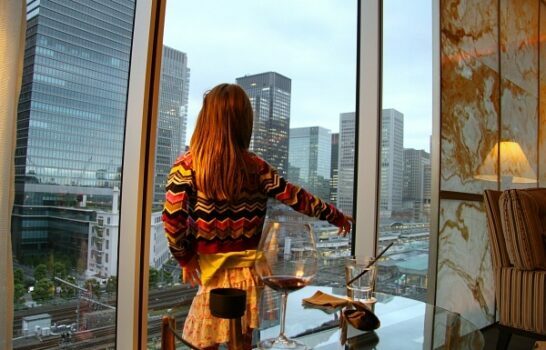 Amenities such as a Club Lounge, e-concierge service, complimentary mini bar upon arrival, and a fleet of hotel cars cater to the needs of luxury travelers. The onsite Base Camp Kerry Sports is regarded as one of the most deluxe fitness centres in the city due to its facilities, infinity pool, classes, personal training, and a roster of outdoor activities. 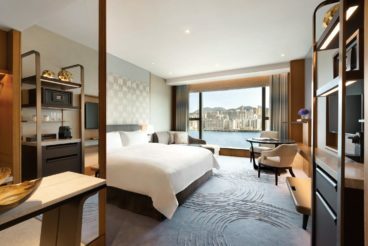 Good to know: Kerry Hotels are five-star hotels, but this one happens to price in the same league as four-star hotels due to its location, which is very good, but a bit on the outer edge of Tsim Sha Tsui. They do offer connecting rooms (king to twin) that I can have guaranteed for you if they are available. 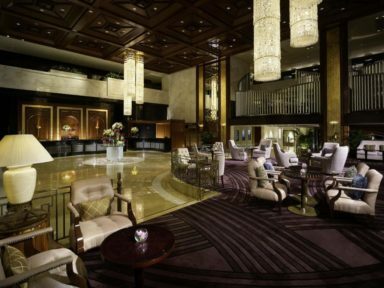 Kerry Hotel Hong Kong also participates in Shangri-la’s Luxury Circle program which means it’s one of the hotels on this list that I can secure extra amenities at for you. It is more or less a five-star hotel. 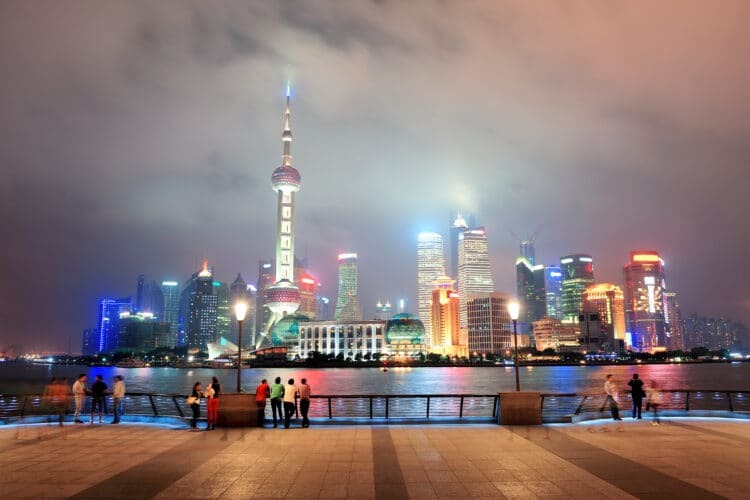 Photo courtesy of Mandarin Oriental Hotel Group. The Excelsior, Hong Kong opened in 1973 as Hong Kong’s largest hotel, and it’s at 869 rooms, it’s still the largest on the island and one of its most famous. 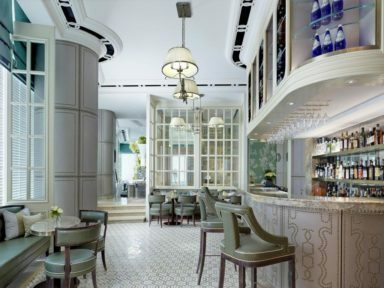 It’s owned and operated by the Mandarin Oriental Hotel Group and home to six restaurants and bars. 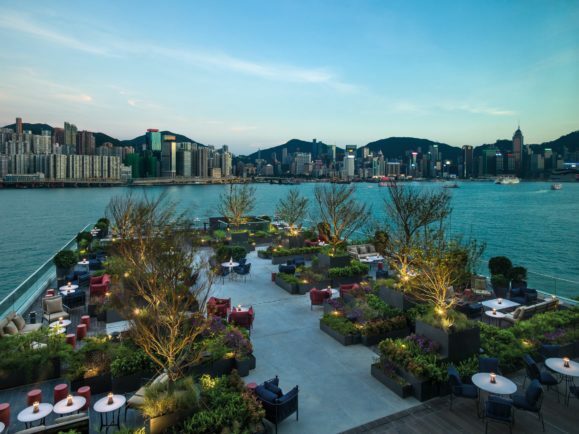 These include a one-Michelin-starred Chinese restaurant, a rooftop restaurant and bar with an outdoor terrace, and an all-day dining café. 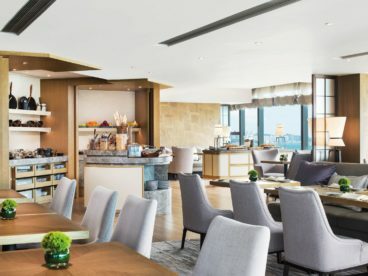 Guests on Executive floors have access to the Executive Lounge which offers complimentary breakfast, afternoon tea, snacks, evening cocktail, and canapes. A harbourfront location (behind the Noonday gun) means that many rooms boast gorgeous harbour views. 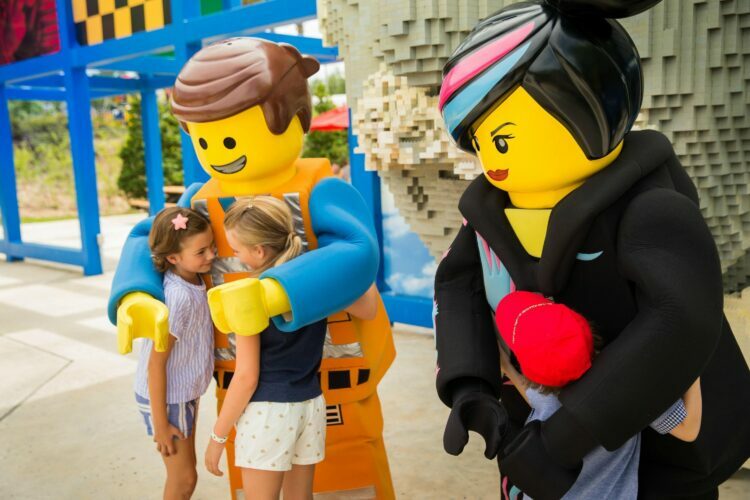 Good to know: The Excelsior has connecting rooms for families that they will guarantee. Causeway Bay is an excellent shopping neighborhood. 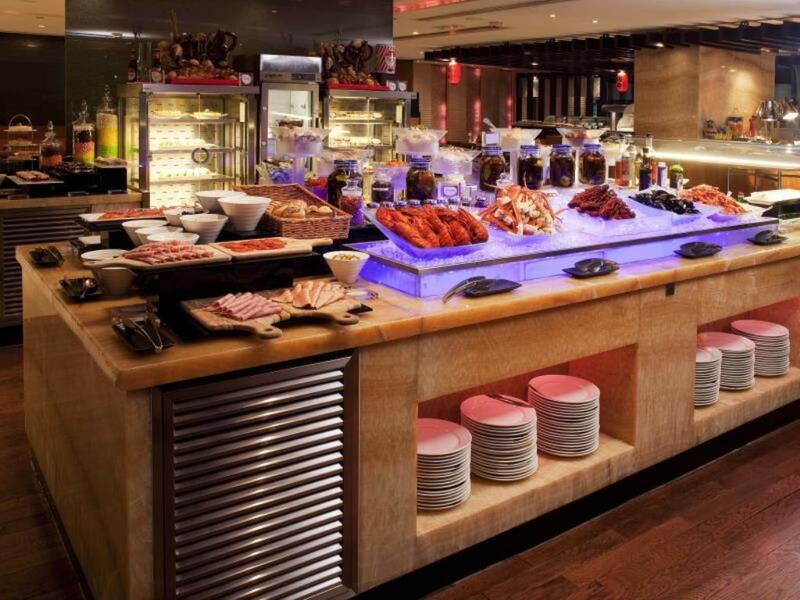 For those that like central locations, this is an excellent choice for Kowloon. 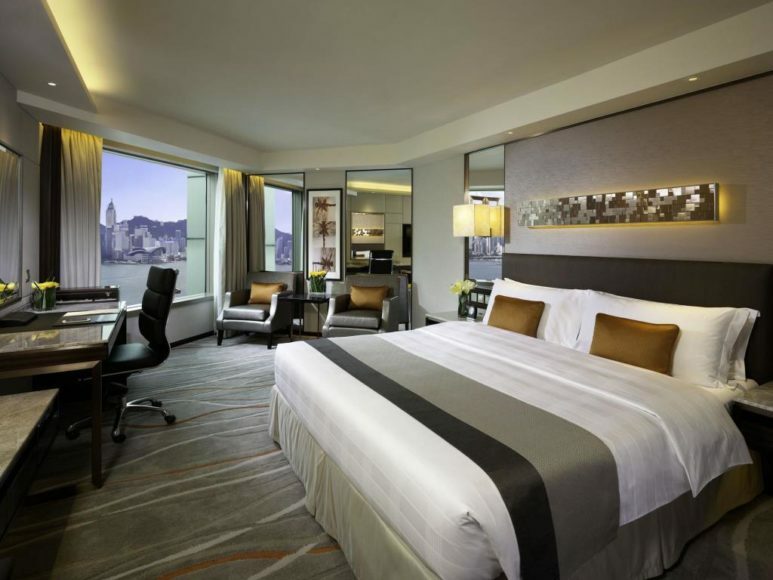 Marco Polo Hong Kong is located right next to the harbour and the Star Ferry terminal. It’s also adjacent to Harbour City mall and the cruise ship terminal. A few minutes’ walk lands shoppers on Nathan Road and Canton Road. 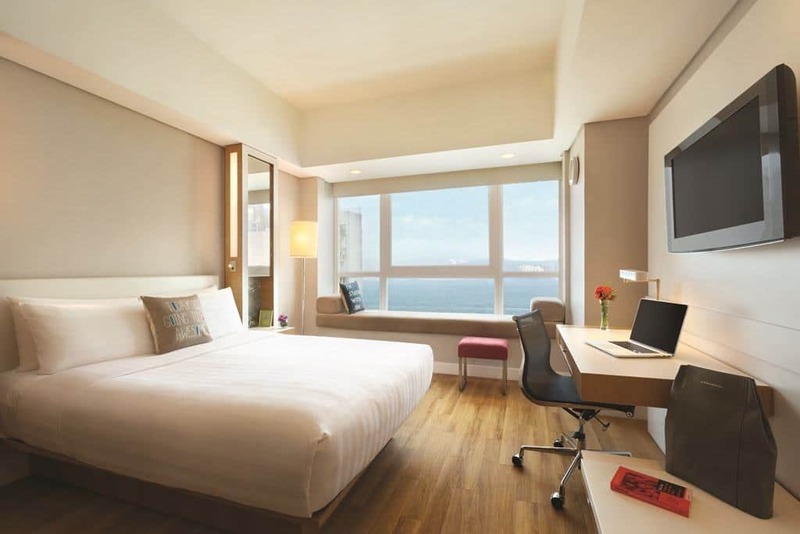 Rooms are classic in design, comfortable and many boast harbour views. 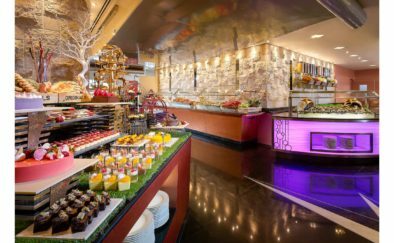 Guests with rooms that have Continental Lounge access will be able to enjoy included breakfast, afternoon tea, evening cocktails, and canapes. Good to know: There are three Marco Polo Hong Kong Hotels here. 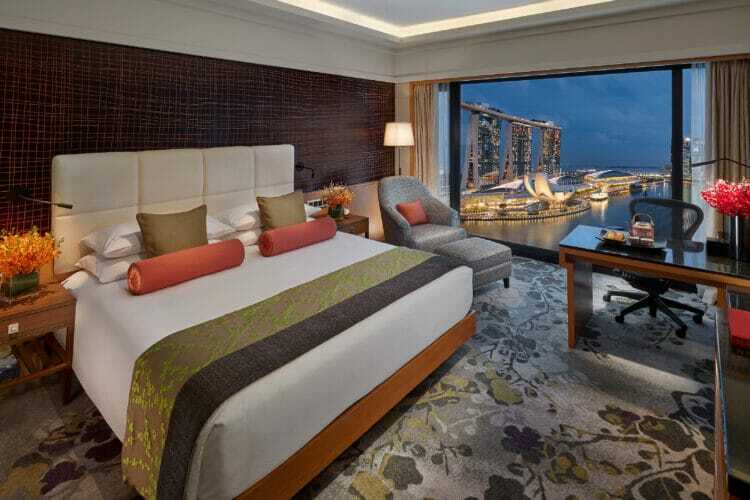 The Marco Polo Hong Kong is my top choice. 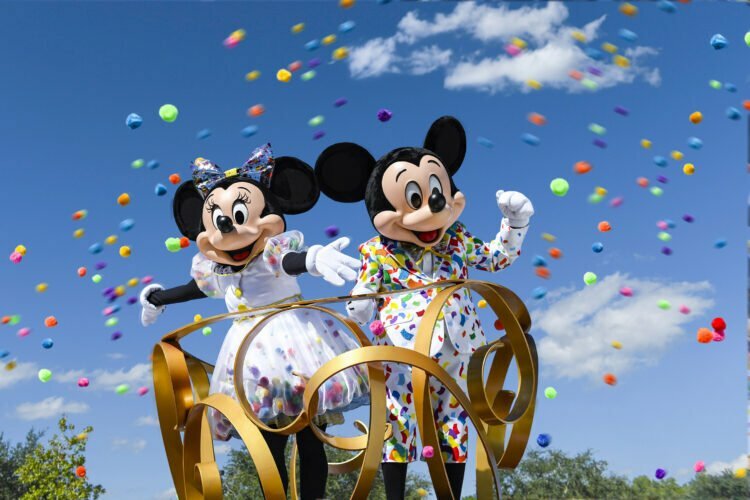 It’s a family-friendly hotel, and currently, kids ages 3-8 dine complimentary at Cafe Marco with paying adults. Photo is courtesy of Agoda. 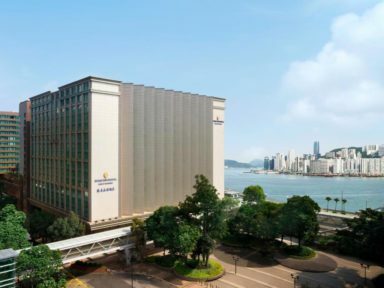 There are two InterContinental hotels in Kowloon. The InterContinental Grand Stanford is the newest and, at the moment (the other is slated for renovation soon), the nicest. 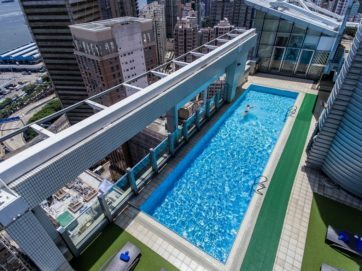 It has the amenities of a large luxury hotel such as a fantastic concierge, an outdoor pool, full-service spa and a shuttle bus service to the main shopping areas in Tsim Sha Tsui. 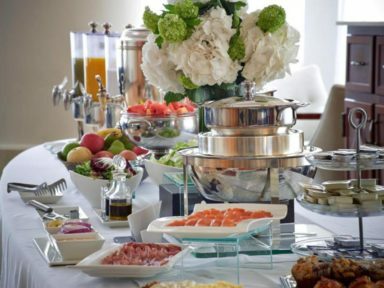 The Club Lounge serves buffet breakfast, afternoon tea and evening cocktails with Moet & Chandon champagne, premium wines, spirits and hors-d’oeuvres. 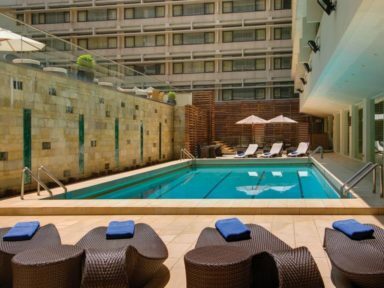 This is a fantastic option for IHG Rewards members. Good to know: The MTR station is about a 10-minute walk from the hotel. You can walk to the Star Ferry in about 20 minutes. 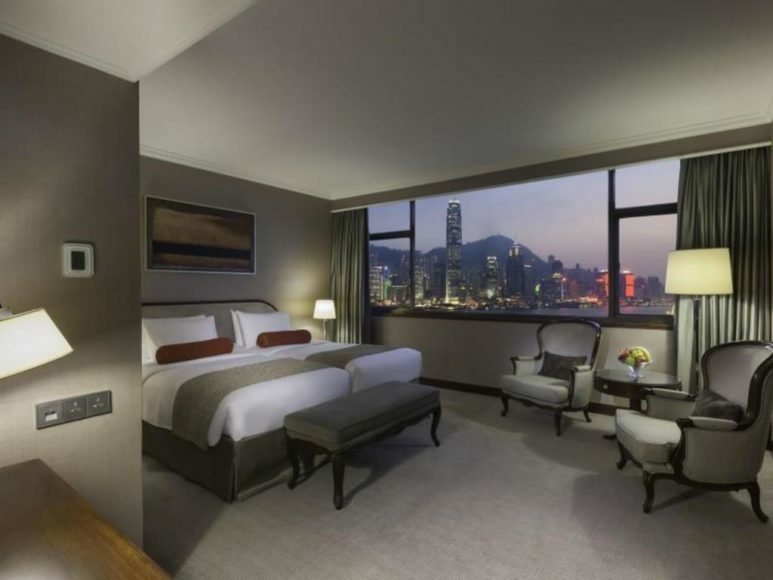 New World Millennium Hong Kong is an upper-four-star (some would call it five-star) hotel with pretty consistently-positive reviews. 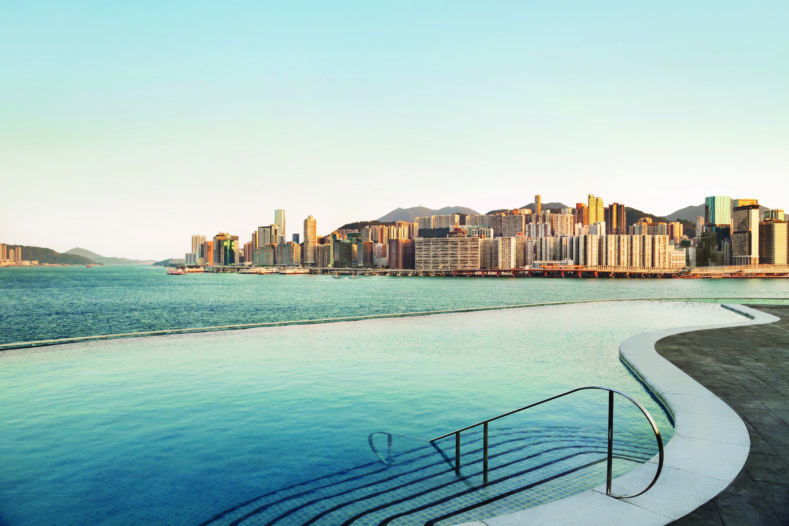 Some of its 464 guest rooms boast harbour views as does the rooftop swimming pool. 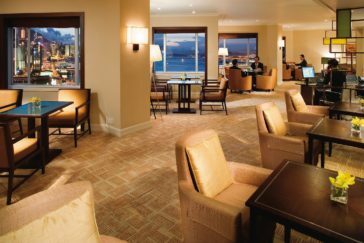 The Residence Club Living Room is where guests enjoy all-day refreshments and evening cocktails, complimentary continental breakfast. 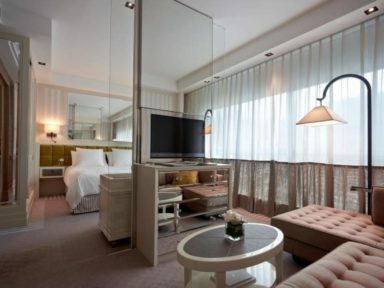 This 68-room boutique hotel is located in Central, my absolute favorite location. 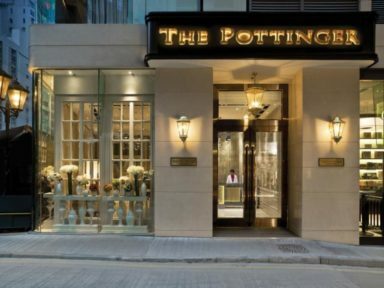 Countless shops and restaurants are within steps as is the Mid-Levels escalator, antique shopping on Hollywood Road, Lan Kwai Fong, designer shopping malls and all that is fabulous about Hong Kong. 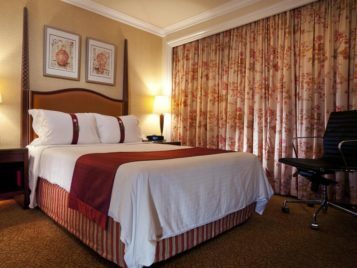 Rooms and suites are decorated in neutral shades with soft red accents, and they have some premium amenities such as Nespresso machines and complimentary bottled water. Good to know: Act quickly if you see a room available as it is often in high demand. 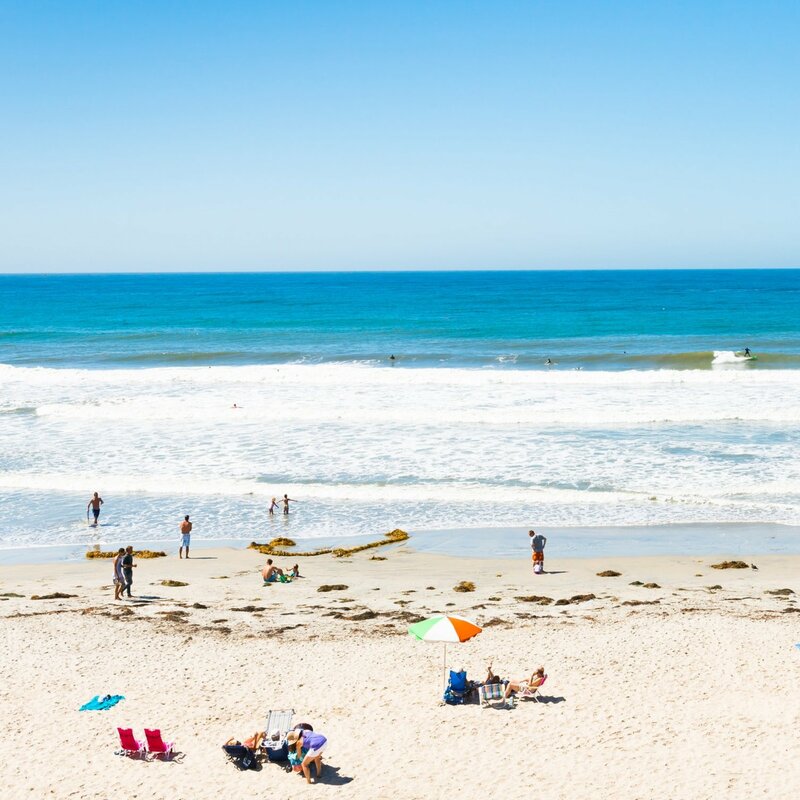 There is no spa or restaurant, but you won’t miss it with everything just outside the door. 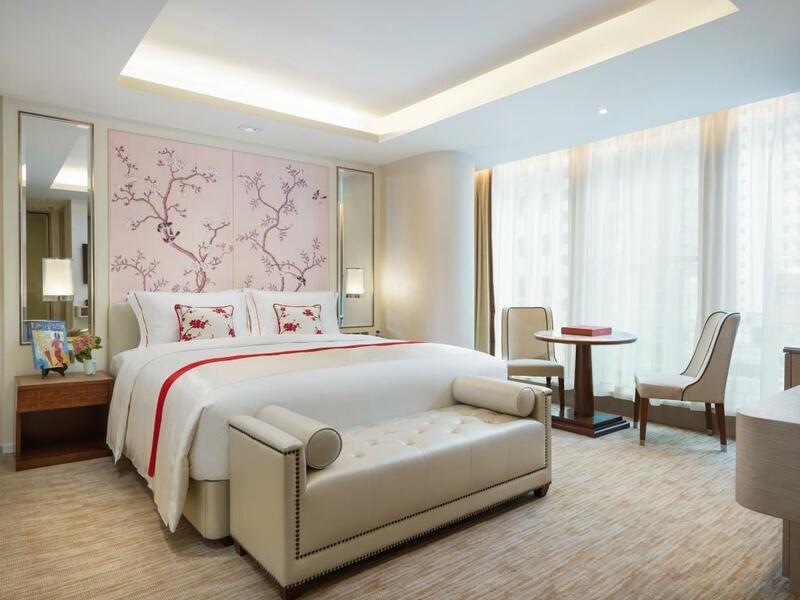 Photo courtesy of Hotel Jen Hong Kong. 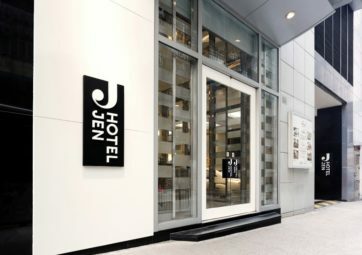 Hotel Jen Hong Kong by Shangri-la is in the Western District on the island. 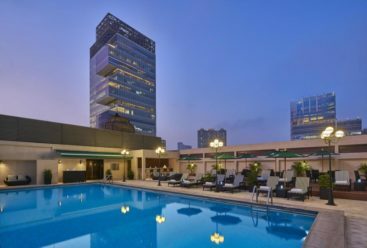 It’s near University and less touristy than other parts of Hong Kong, while giving guests proximity to neat shopping streets, the Western Market, and amazing local food. 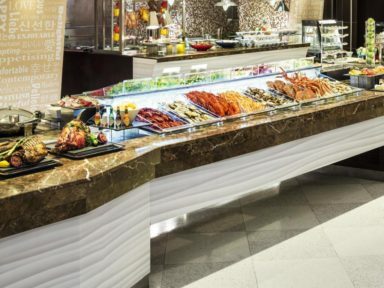 Club level rooms provide access to complimentary buffet breakfasts, daytime snacks, and evening cocktails. 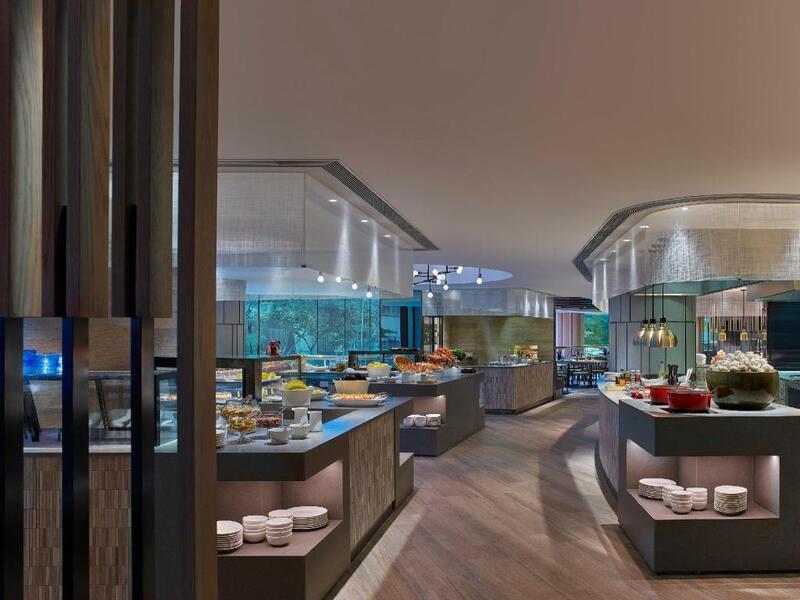 And, what a treat to dine on Malaysian and Singaporean cuisine at the in-house Café Malacca. 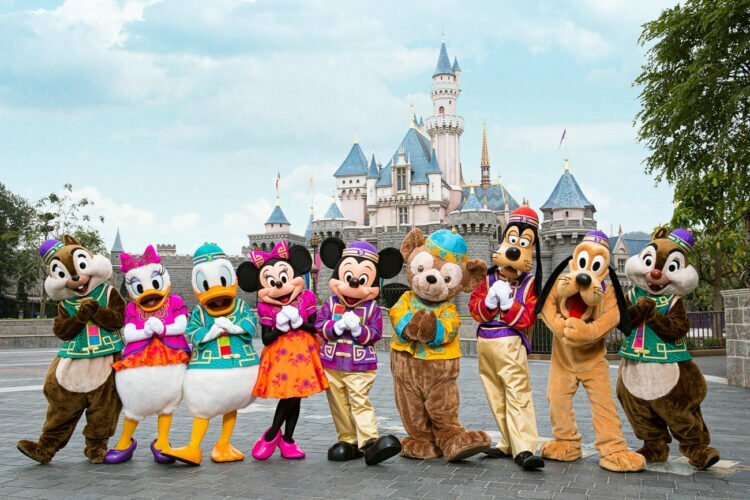 The hotel offers complimentary shuttle service to Central, Wan Chai, Peak Tram Station, Ocean Park, and Hong Kong Disneyland. Good to know: Rooms have either Queen or Twin beds. 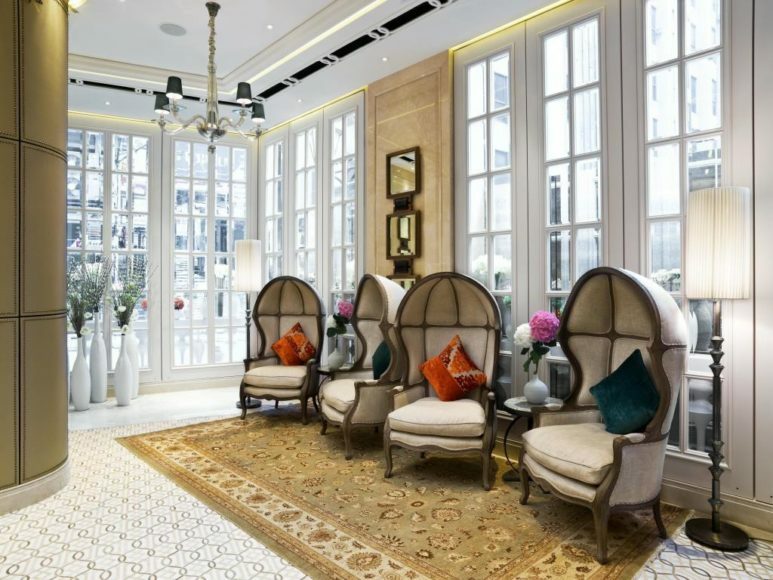 The Jervois is a luxury boutique hotel designed by Christian Liaigre, a world-renowned French designer of private residences for the rich and famous in addition to exquisite hotels across the globe. 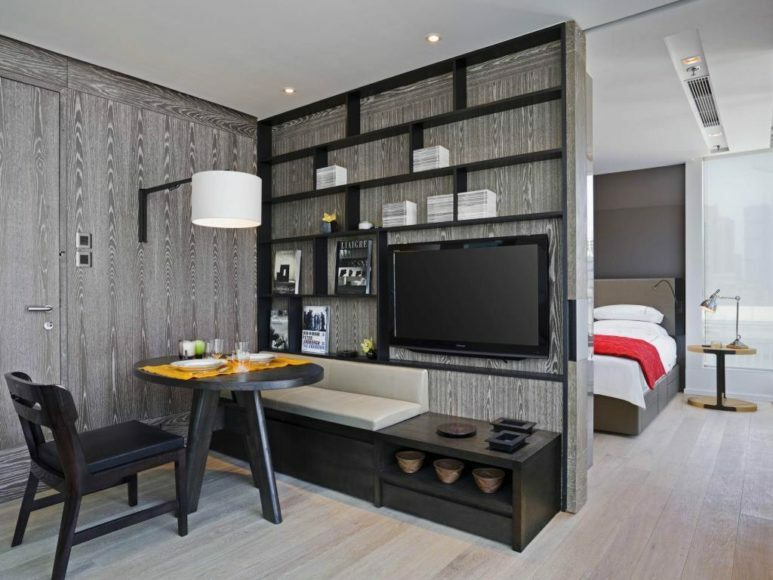 The entire property is one- and two-bedroom suites that have a serviced apartment feel and feature simple, elegant design with custom furnishings and attention to detail. 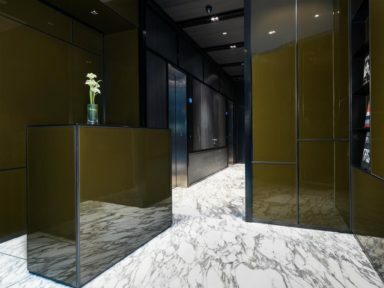 They are accessed via private lift lobbies, and each two-bedroom suite occupies an entire penthouse-level floor with views of Victoria Harbour. 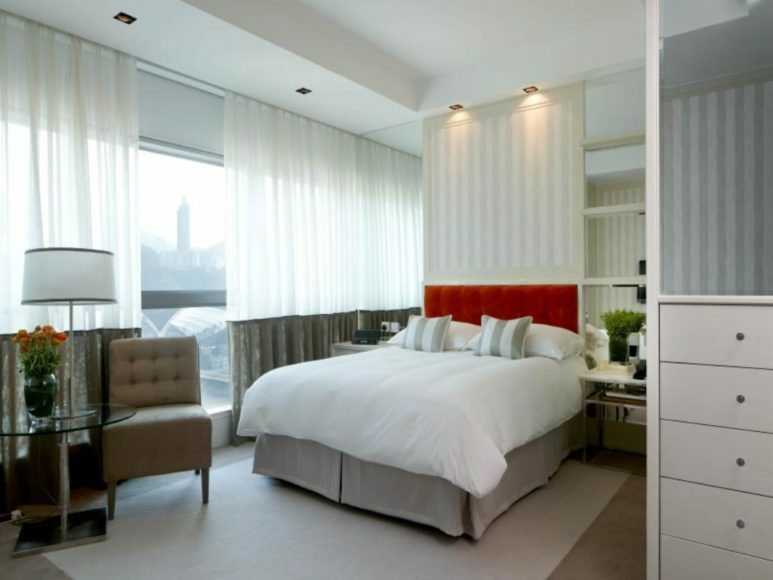 Upscale amenities include Frette sheets and towels, L’Occitane bath amenities, and complimentary laundry machines. 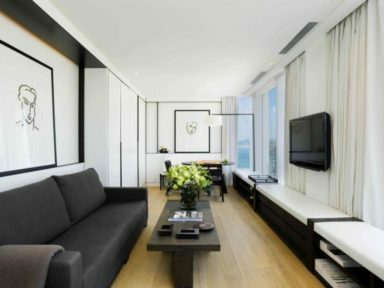 Good to know: These rooms are considered spacious for Hong Kong. Lanson Place Hotel is a member of the exclusive Small Luxury Hotels of the World. 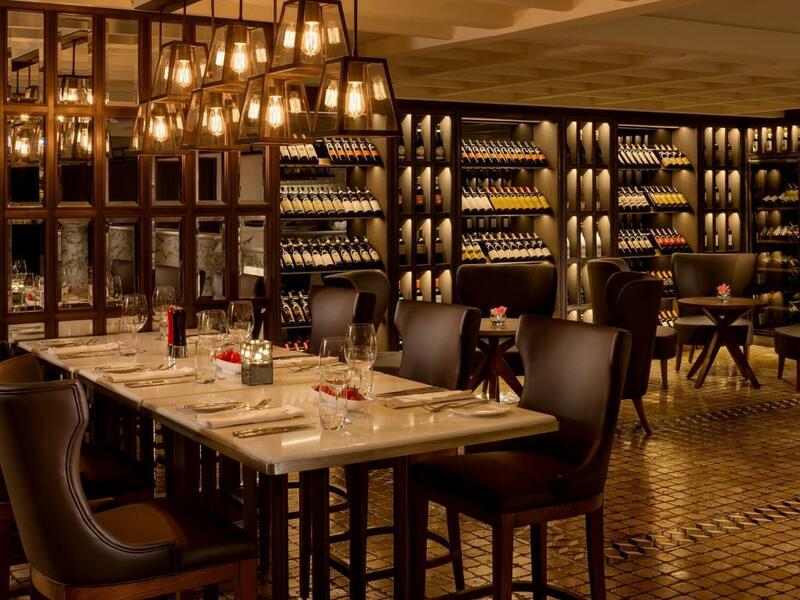 The 196-room boutique hotel has an elegant lounge with library space and gym that are exclusive to guests. Each room has a kitchenette with microwave and refrigerator. 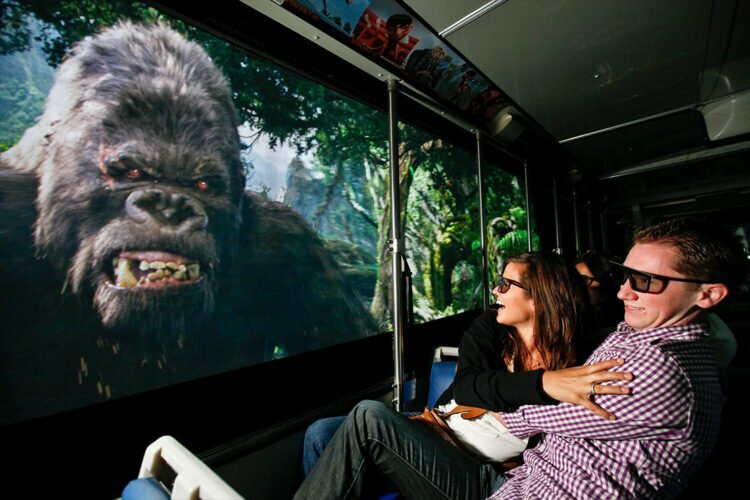 A complimentary shuttle bus takes guests to Central and Quarry Bay though the MTR station is only a 3-minute walk away. 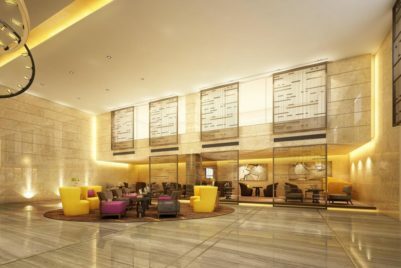 Good to know: Guest can upgrade to lounge access, and it will also include a room upgrade to the next category, American breakfast for two, evening cocktails for two and a late check-out. 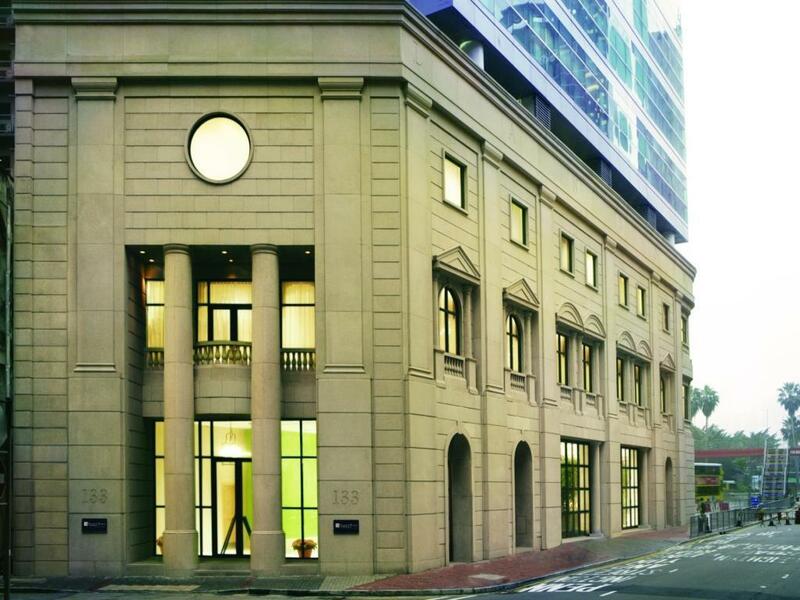 Causeway Bay is busy, but Lanson Place is located on one of its quieter streets. Yes, you read that right. A Holiday Inn deserves a spot on this list. Maximum occupancy in Hong Kong is typically three people to a room, but four people (sometimes five if the kids are little) are permitted in family rooms and triple room here. 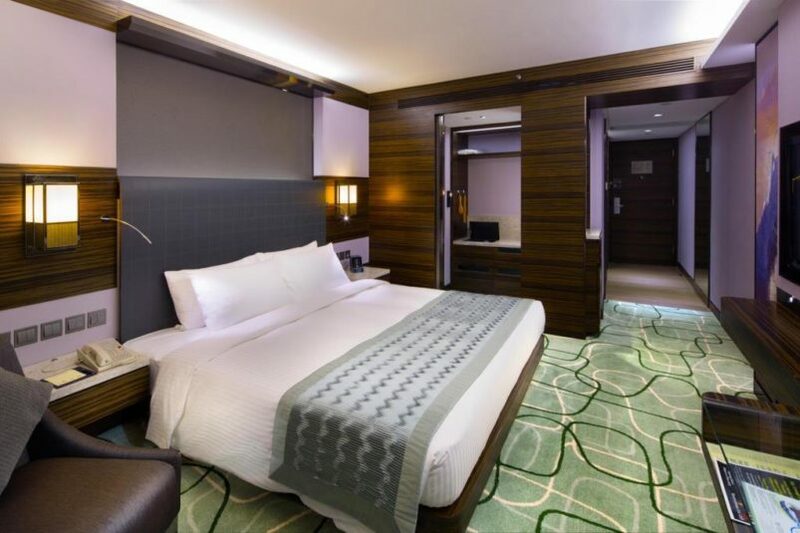 In addition to a fantastic Nathan road location (it’s a 2-minute walk to Tsim Sha Tsui MTR station! 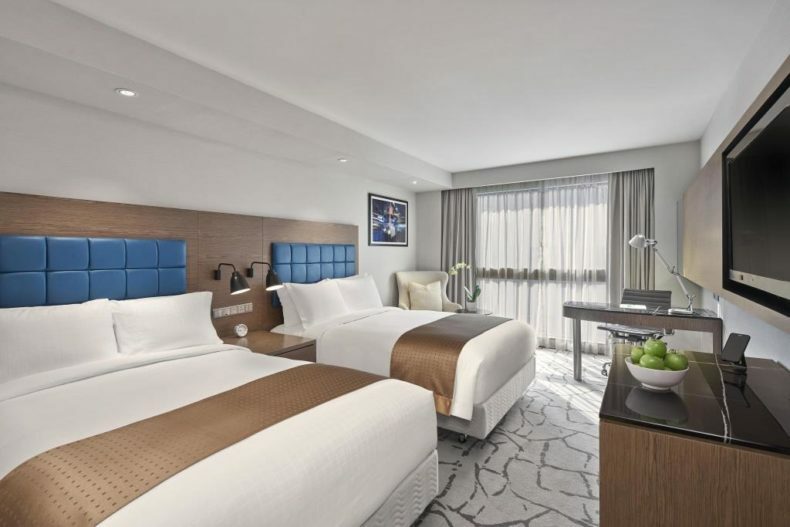 ), they also have Executive Club Rooms that provide guests with access to complimentary breakfast, daytime refreshments, and evening cocktails. A lifeguard staffs the outdoor pool which also has a poolside bar. Good to know: This hotel is extremely popular with families as it also has a kids stay and eat free policy. 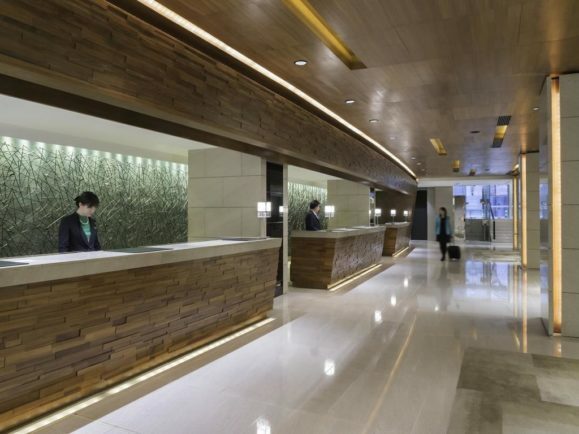 The Tsim Sha Tsui MTR station is just a 2-minute walk away. 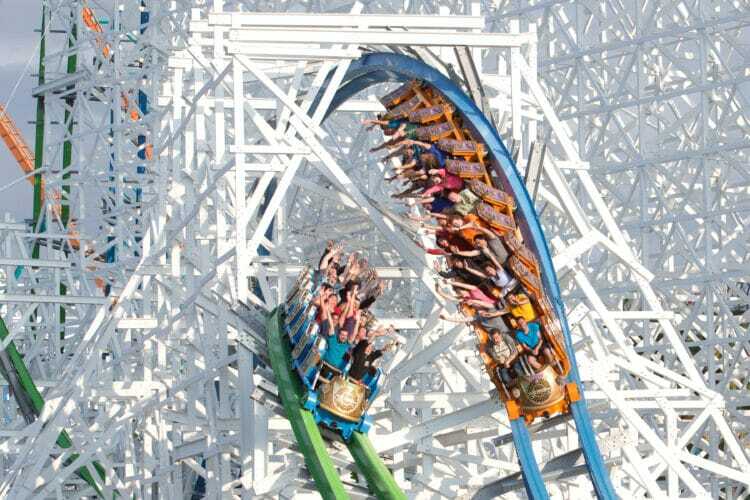 It is not nearly as upscale as others on this list, but its strength is location. 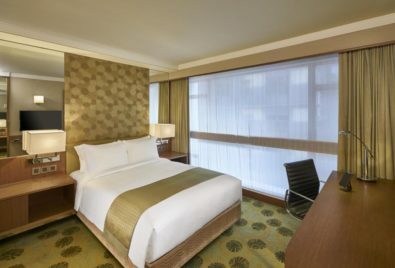 You’ll save a little bit of money by signing up for a free IHG Rewards membership and booking through IHG. 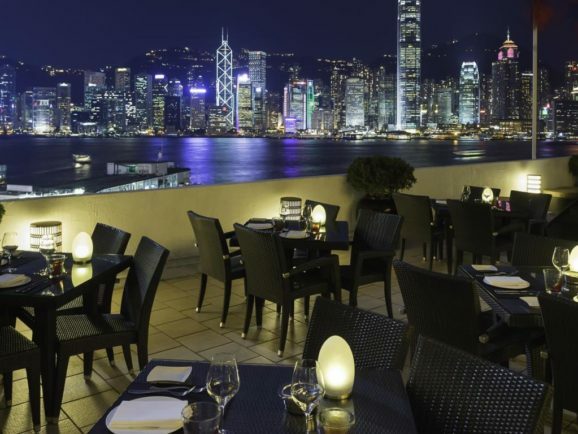 Do you have a favorite boutique, four- or five-star Hong Kong hotel?